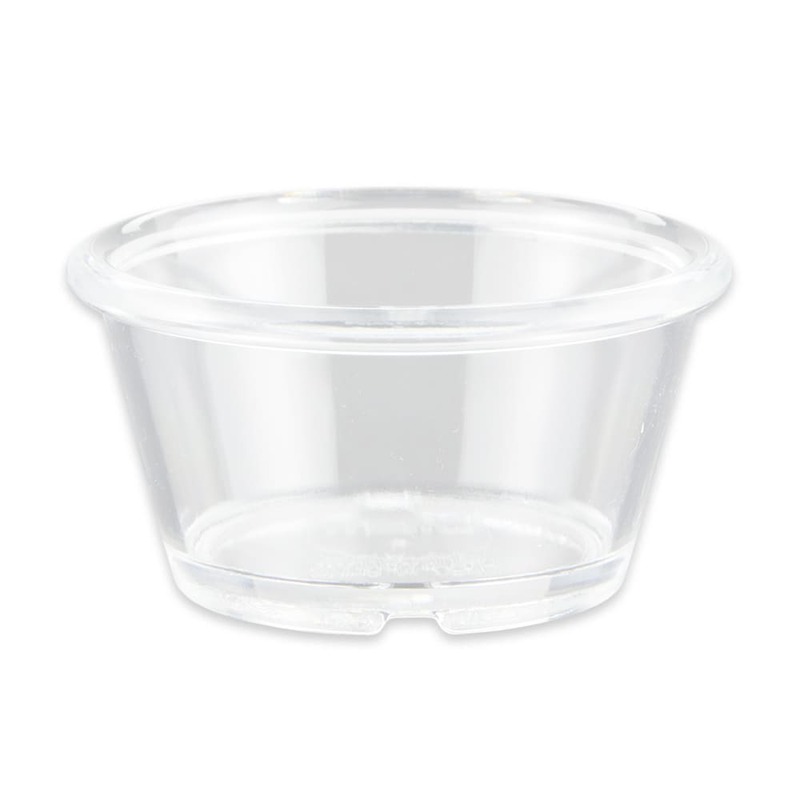 The GET ER-025-CL ramekin has a 3-inch diameter and 1.5-inch height, holding 2.5 ounce of product. 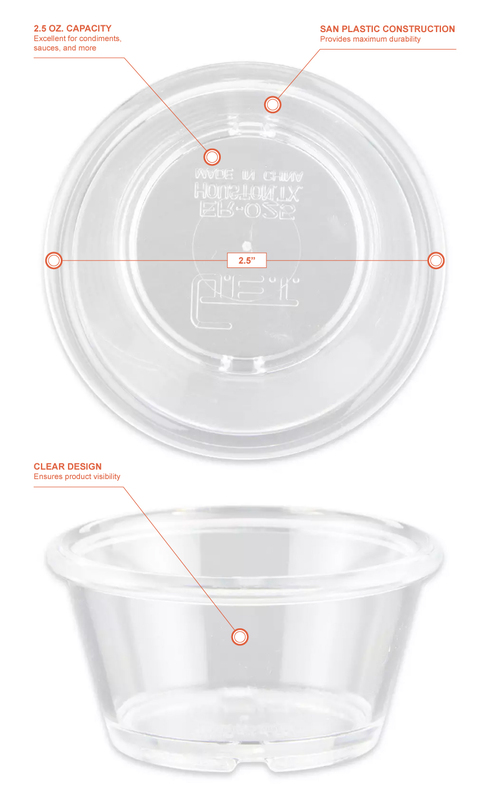 Made of SAN plastic, the dish withstands heavy use in commercial establishments. The clear design of the GET ER-020-CL ramekin provides customers with a clear view of the product.